When favorite games are repeatedly passed, sometimes there is interest in their internal structure. Partly with this help unpacking programs that allow even after the obsolescence of the game, to extract from it «souvenirs» — textures, music and some other resources. Part of this can help the program Dragon Unpacker and her colleagues. The program is designed to view resources or only a small part of them. For some games, extraction of textures and music is available, although sometimes additional decoding steps are required. If the program does not support the game, you can run the built-in analyzer — Hyperriper, which will try to find the file types known to it (pictures, sounds) in the resource file. The program was created universal, so it supports the formats of a large number of games. 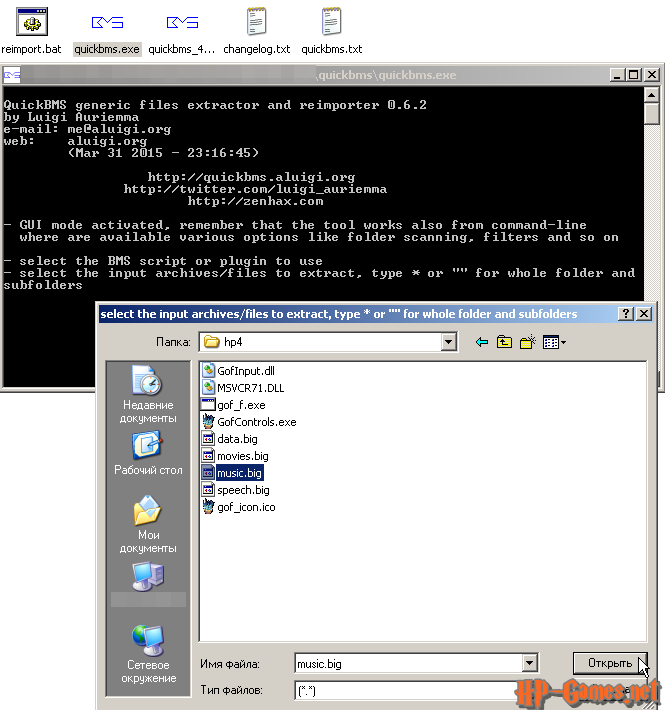 The program includes an update search engine (Duppi), available from the Help menu. To activate it, you must at least once run the program with Administrator rights. We are only interested in her ability to play about H. Potter. H. Potter and the Philosopher’s Stone.. For this game, you can view and export textures (package files with the utx extension), voice files (packages with the uax extension). H. Potter and the Chamber of Secrets For this game, you can view and export textures (package files with the utx extension), only view the contents of the voice files (packages with the uax extension). Export of sound resources is impossible due to the introduction of changes in the mechanism of work with sound resources by Electronic Arts programmers. H. Potter and the Prisoner of Azkaban For this game, you can view and export static textures (package files with the extension utx). H. Potter and the Goblet of Fire For this game, you can view and export the contents of some game packages with the big extension: it is possible to extract video clips and soundtracks in special game formats. 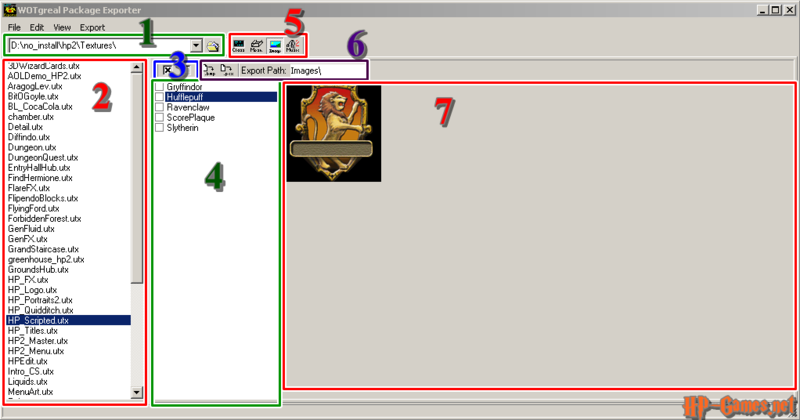 H. Potter and the Order of the Phoenix For this game, you can view and export the contents of some game packages with the big extension: it is possible to extract video clips and soundtracks in special game formats. H. Potter and the Half-Blood Prince For this game, you can view and export the contents of some game packages with the big extension: it is possible to extract video clips and soundtracks in special game formats. Downloads. You can download the program from both the official website and the «mirror» we made. Initially, the program is available in three languages: French, English, Spanish. Links to the download of the program are also available on the «Files» page. Program author: Alexandre Devilliers, whose program Dragon Unpacker has been known for many years among fans to dig in the resources of their favorite games. In recent years, for lack of free time, rarely engaged in this project. 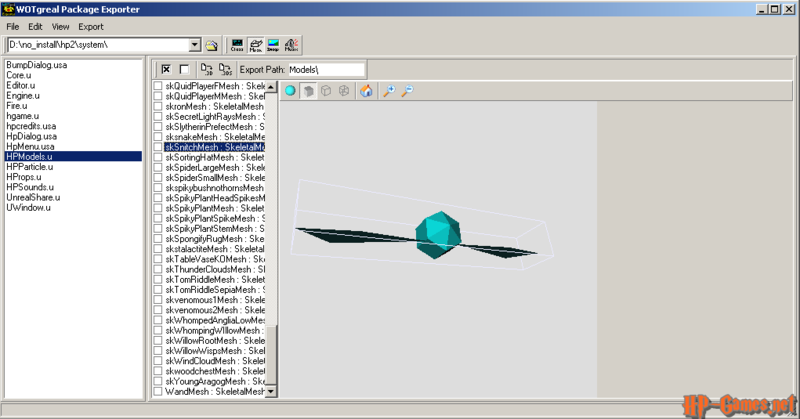 The program allows you to view and export most of the files of static (non-animated) textures, models, sounds from the resources of computer versions of the first three games. H. Potter abd the Chamber of Secrets Available for viewing and exporting: textures (utx packages), classes + models + textures (u packs). For sounds (uax packets) only the list of files is available. H. Potter and Prisoner of Azkaban Available for viewing and exporting: some textures (utx packages). Only viewing the list of files for: animation files (ukx packages), sounds (uax packages), models (usx packages), most textures (utx packages), classes + models + textures (u packs). One of the disadvantages are memory leaks — after a while the program may hang. After restarting, it will work again, but before viewing the previously unknown amount of resources. 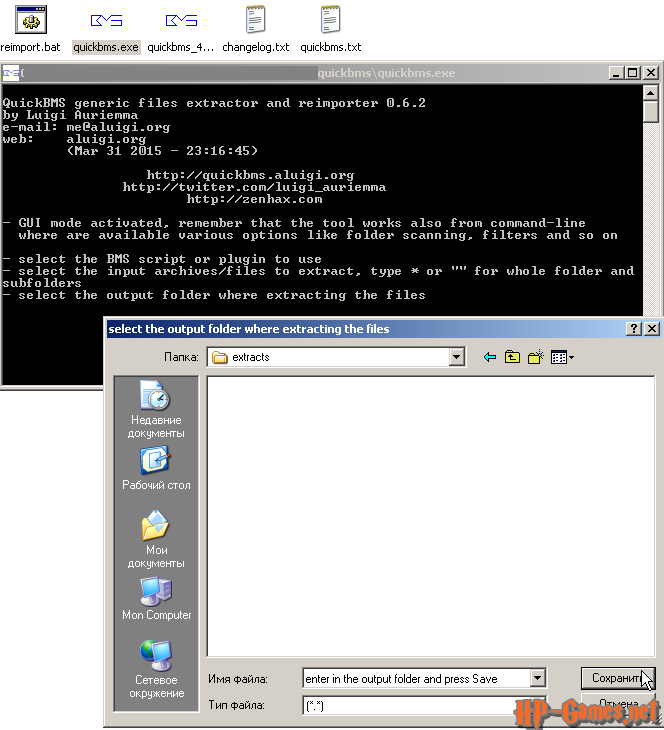 If the selected package contains the selected resource type, double-clicking on the package name will display the list of package resources to the right. Sound resources from the Philosopher’s Stone can be heard in the player built into the program or exported to a wav file. Part of the textures can be viewed by clicking on the resource name. Also they can be exported to files formats bmp, pcx. Allows you to unpack all the contents of big packages (Fire Cup, Order of the Phoenix, Half-Blood Prince) and dat (LEGO HP: 1-4 years, LEGO HP: years 5-7). Specify the folder where the files will be extracted. The process can take a long time — depending on the size of the package.